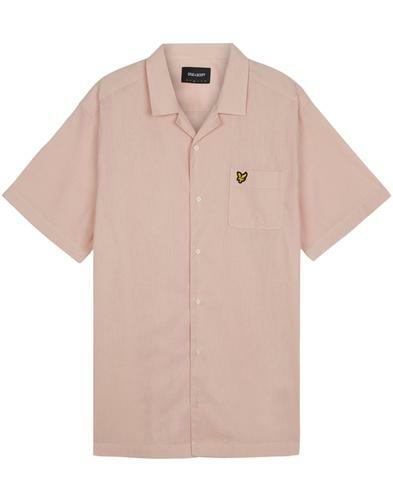 Farah 'Robbin's men's retro 1950s style resort collar shirt in ecru. The textured waffle fabric with retro stripes ensures an awesome summer look. Lightweight and brimming with Vintage 50s Rat Pack flair, the Farah 'Robbins' short sleeve shirt blends a retro Ivy League silhouette with a contemporary twist. The chest pockets, subtle white buttons and neat lapel collar are in keeping with the relaxed resort shirt style. The Farah Robbins' shirt is finished with iconic signature chest embroidery. 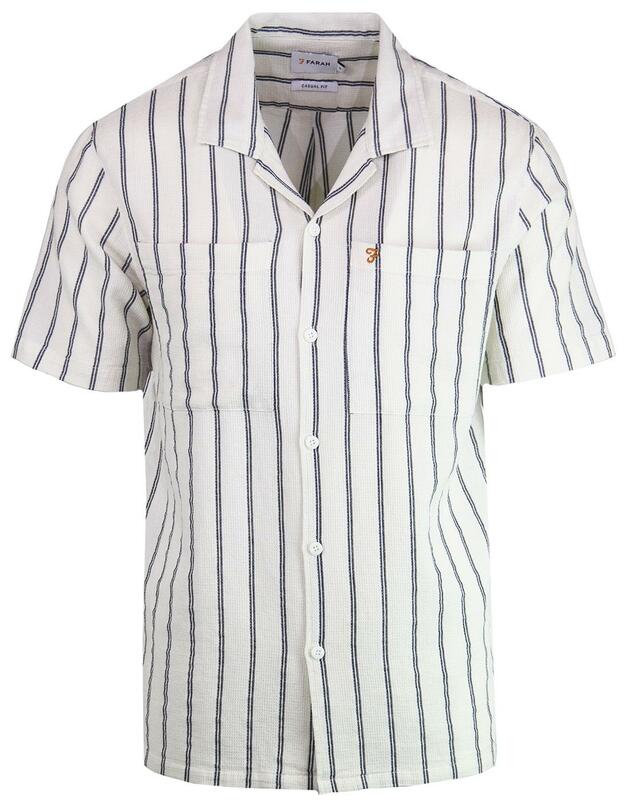 Team with chino trousers, shades and a mint julep and you'll be as cool as a Havana siesta in 1950s Cuba - The Farah 'Robbins' resort collar stripe shirt is the perfect vacation attire! 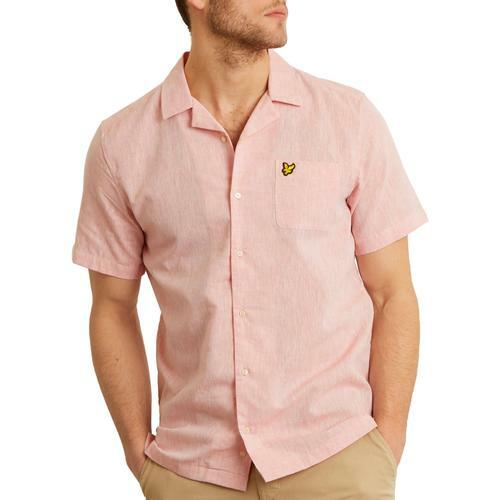 - Farah 'Robbins' men's retro resort collar shirt in ecru. - Vixntage 50s lapel resort collar. - Textured waffle stripe fabric. 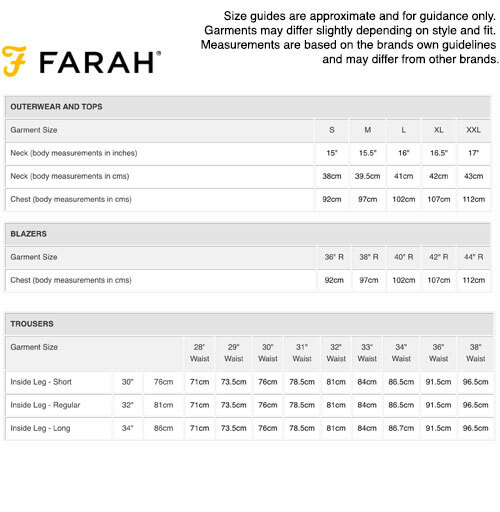 - Farah embroidery to chest. - SKU: F4WS8022 Farah Robbins Resort Collar Shirt.